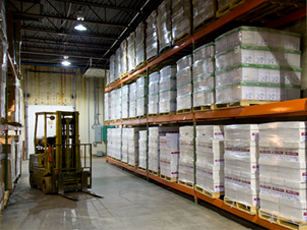 At Post Masters, we provide the entire Supply Chain Management and process orders daily, which includes picking, packing, addressing, and shipping. Our packaging options encompass corrugated, polybags, shrinkwrap, and other materials. We are authorized shippers by all the major carriers so we have daily pickups at reduced rates. Daily reports are provided which allow the customer to track all shipments. We can also maintain your databases and provide trending reports. Our warehouse is environmentally controlled to preserve the quality and integrity of your products, and our inventory management system will ensure that sourced product are ordered on time with no break in service. If the customer is supplying the products, our trending reports will send notification when items need to be restocked.